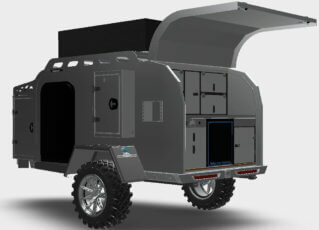 The Expedition 2.0 is our most rugged and popular off-road trailer model - and for good reason. 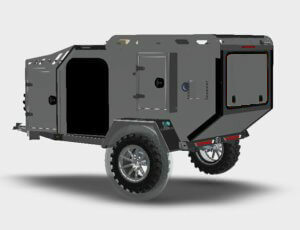 With its militaristic design and compact construction, this heavy-duty and customizable off-road camping trailer is built to tackle the toughest off-road conditions. The Pando 2.0 is the traditional teardrop trailer reimagined. Complete with a rear gallery outdoor kitchen and four storage compartments, the Pando Teardrop Trailer connects you with the outdoors without sacrificing the space, amenities, and comforts of home. 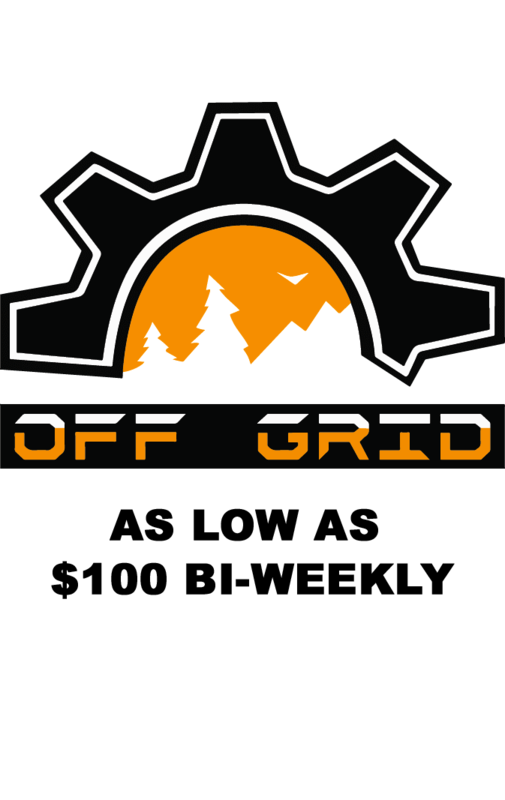 At Off Grid Trailers, we’ve designed our off-road trailers for traversing the backwoods and venturing off the beaten path beyond campgrounds to truly commune with and experience the wild. We know that buying an Off-Road Trailer is a significant investment that is, for some, a distant dream. We want to connect you with nature and to make your dream a reality, and to accomplish this we’ve teamed up with financial partners that specialize in off-road trailer financing. Off Grid Trailers redefines camping with innovative off-road trailers designed to connect you with nature, inviting you to explore the wild with unparalleled adventure. Bringing backcountry camping into the mainstream, we build durable off-road trailers that can withstand any climate and any terrain. But we don’t just build trailers, we build relationships: with our customers and our team, with our partners and vendors. Duane at off grid trailers was a complete beauty. He made the purchase of a trailer super smooth and was not only able to answer all my super detailed questions but invited the chance to showcase his knowledge on the product and thought that was put into making such an unreal product. The guy is a man of his word and was able to hold a trailer for me until I could make it up to Edmonton and grab it. The ability to call at anytime and get him in the phone for insights into the trailer is also extremely handy. The fact that Duane and the gang at OGT are avid users of their own product helps to give you pointers on accessories and tricks to outfitting your trailer and using all the functions of your trailer to the fullest. Thanks again Duane and OGT for and awesome trailer and experience. I just wanted to thank everyone at Off Grid Trailers for the incredible service they gave us ! They pretty much bend over backwards to help you and to put your needs first ! The trailers and people are the best by far !! 👍. Fantastic company, cutting edge technology packed into a compact self sustaining unit! I had the pleasure of taking the Pando out for the first time this weekend. I will never look at camping the same way. THEY THOUGHT OF EVERYTHING!!! It was an amazing experience! They are the absolute best teardrops on the planet. It a league all by them self. I would and do highly recommend them.